The partnership kicked off on March 15th with a community event in Sheshatshiu, which featured an elder blessing, welcome remarks from Sheshatshiu Chief Eugene Hart, MP Yvonne Jones, and Pam Gough from First Nations and Inuit Health Branch, and of course a few games! The communities are working to overcome challenges related to the mental health of their young people with the support of Right To Play’s Promoting Life-skills in Aboriginal Youth (PLAY) Program and Indigenous Services Canada. 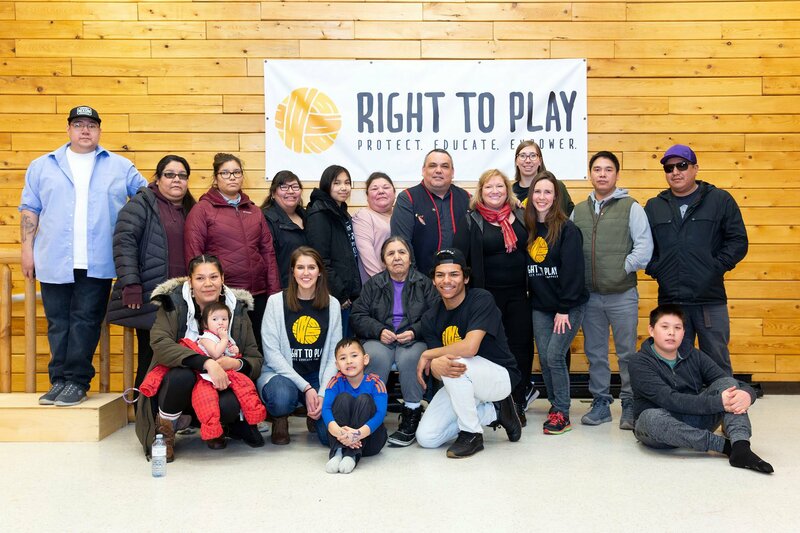 Right To Play’s Promoting Life-skills in Aboriginal Youth program was launched in 2010 and currently partners with over 85 Indigenous communities and urban organizations. The PLAY program trains and equips Indigenous youth workers to implement play-based after-school programming for Indigenous children and youth. Community Mentors teach crucial skills to improve the health, employability, healthy relationships and educations of Indigenous youth, tailored to the circumstances of each community’s young people. We're proud to have been invited to train youth leaders and help grow capacity in these communities, and can’t wait to see what the incredible young people of Sheshatshiu and Natuashish can do! Thank you Sheshatshiu and Mushuau Innu First Nations!